In A1 I would recommend a symmetrical swing like a right forearm hold, with left hands joined underneath, so that you can easily slide apart into the Allemande; also, if you want to swing rather than polka in B2, that type of swing works well. As described in the article on Ladies' Fancy David Anderson used "pousette" to mean "swing & change". 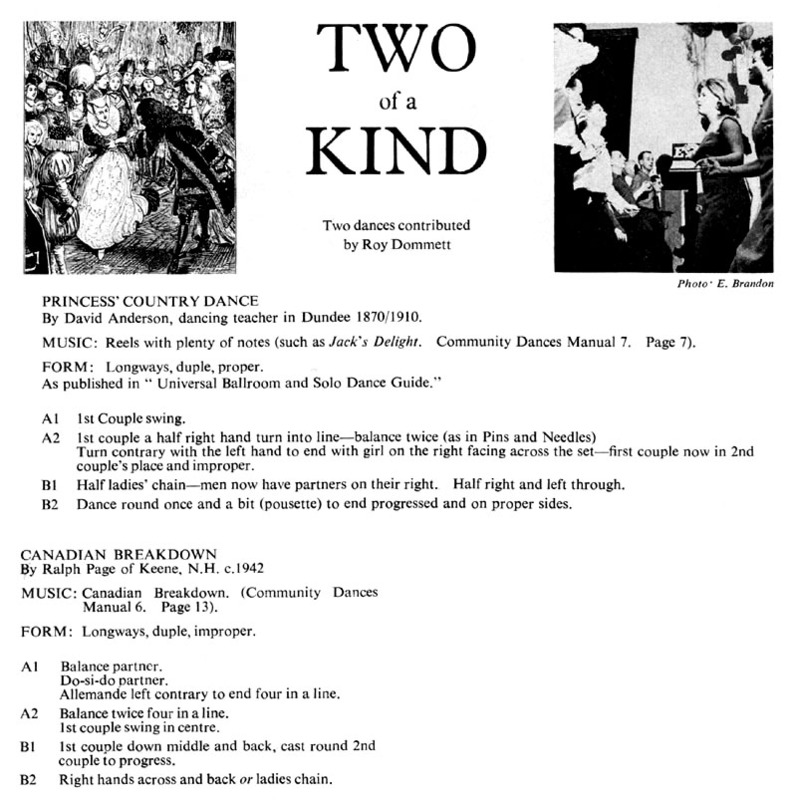 The article covers two dances; the other one is Canadian Breakdown.